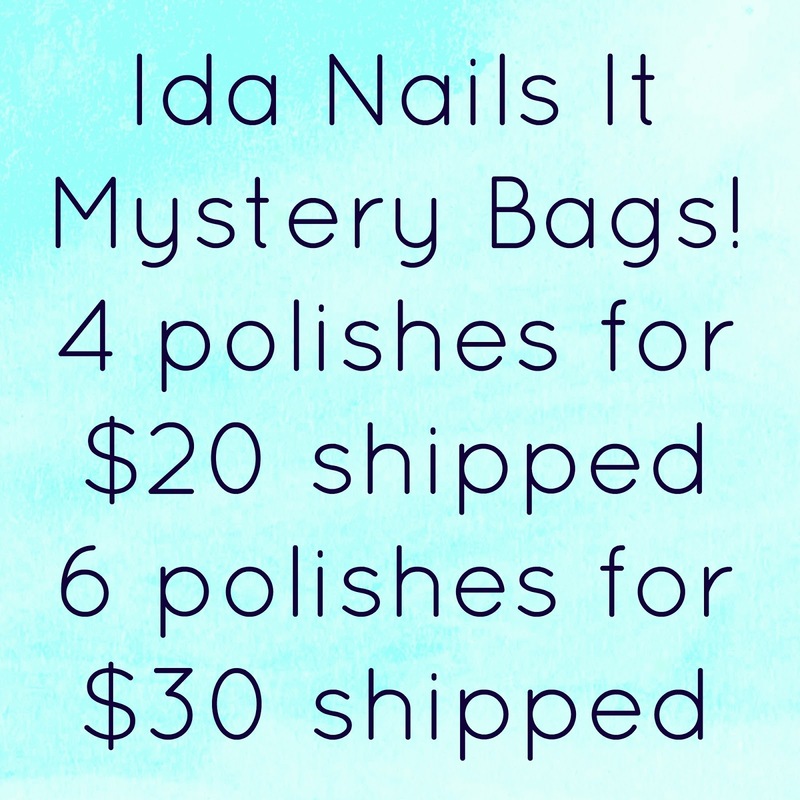 Ida Nails It: Mystery Bag Sale! Time for another blog sale! 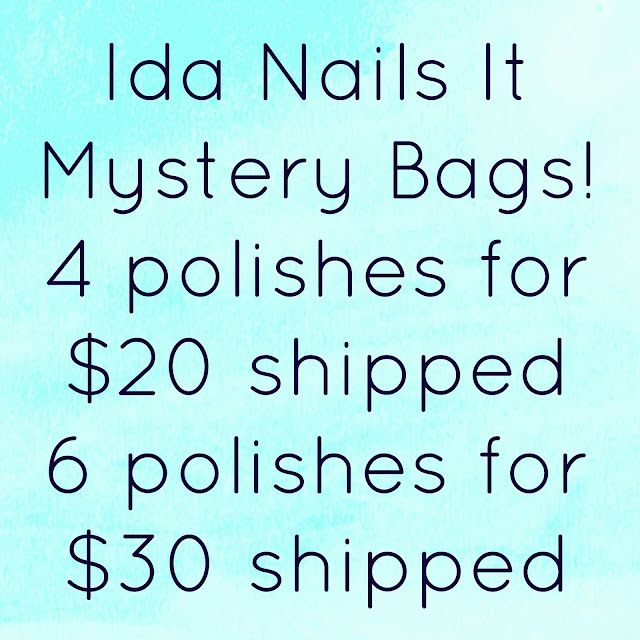 A full sale will be done at some point but for now I am doing mystery bags! All full size indie polishes. Please email me at ms.idarose@gmail.com to purchase one!